Cloud Computing Application development in the past has always been more abstract, which for the developers needed to have a less detailed knowledge of the infrastructure upon which the applications would run and how the operations were deployed within the Cloud Computing platform. Cloud computing, however, seems to have reversed this trend more recently, bringing up all the faults of those who erected a wall of separation between application development and how these operations are performed are treated at the infrastructure level. Abusers of this simplification in fact is now aware that Cloud Computing applications might not work in environment which is multi-tenant, unlike it worked before. Therefore it is necessary that the developers of the applications now have to be taken into account in their developmental designs to be capable to run smoothly in cloud infrastructures. Application developers must be able to understand how the application will run, depending on operating environment. The impact of this renewed criterion of the cloud applications must be taken into account, for example, how they work with databases, perform a complex work in the cloud is a particularly, especially if the developer or the application do not have control of the memory space. Environments such as Rackspace offers database services that can provide better performance than those obtained by database on IaaS, but this solution is not free from difficulty. Cloud Computing Applications can also implement a failover using less expensive hardware or as a service. The failover should be handled within the cloud application rather than trusting the application platform and infrastructure hardware. A tool controls the application infrastructure right from the developers can be provided by virtual networking that allows the team to develop applications and to take control of the network infrastructure. Once again, a lack of experience in this area of Cloud Computing can cause widespread configuration errors that negatively affect the performance, in addition being a source of Cloud Computing security issues. This Article Has Been Shared 2310 Times! 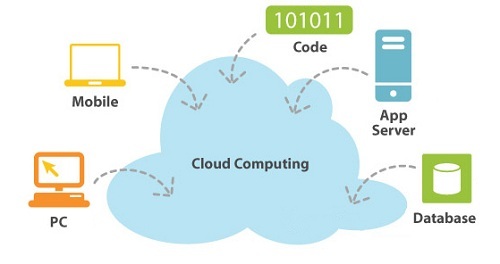 Cite this article as: Abhishek Ghosh, "Cloud Computing : The Wall Between Applications and Platform," in The Customize Windows, November 4, 2012, April 21, 2019, https://thecustomizewindows.com/2012/11/cloud-computing-the-wall-between-applications-and-platform/.